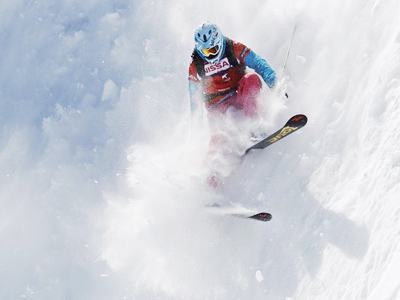 The extreme sport of freeriding has developed over the past 40 years from a pastime to a World Tour, with the latest event at the Black Sea resort of Sochi attracting the world's most experienced riders. ­The history of freeriding starts in the 1970s and it was characterized as "skiing steep slopes in wild terrain." Since that nothing has really changed. Freeriding still needs untracked powder snow, spectacular cliff jumps, creative line choices and the best, most-experienced riders to fulfill all that. 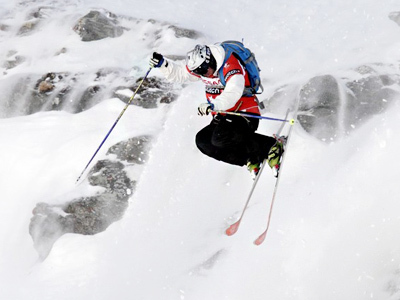 The Freeride World Tour was created in 2007 as a joint competition for skiers and snowboarders and it is the most significant event for the sport. Rosa Khutor is in an exotic location, just 50km from the Black Sea. But it is also becoming a Mecca for freeriders who are searching for the best mountains around the world. A brand new resort with facilities to suit all skill levels has been built here to become venue for alpine ski events at the 2014 Olympics. But despite its infancy the riders already feel comfortable here because of the terrain and fresh powder up in the mountains. “Krasnaya Polyana has always been a great place for freeriding. However there were no facilities but after ski lifts were built it's much easier to get to a slope. 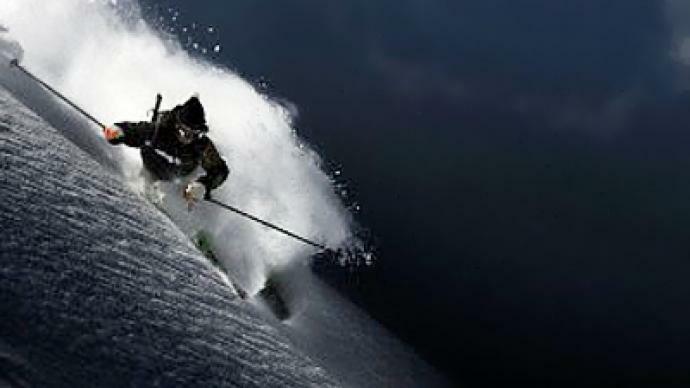 Nevertheless I think there are more prospects for freeriding here than for classical Olympic disciplines because of an abundance of snow and unpredictable weather,” Iavn Malakhow, Rusisan freerider, said. Freeriders are becoming trend-setters in winter sports, as more and more prefer to climb higher up the mountains to get lots of snow and lots of adrenalin. The number of top events is increasing as well as the amount of equipment being sold. In Russia, freeriding is still like an elite club, but it is becoming more popular thanks to growth of the sport worldwide. Nevertheless, the development of Russian riders is obvious, with Idris Uzdenov and Egor Sorokin performing well at the recent Sochi stage of the world tour. And with this sort of terrain on their doorstep, they will have every chance to progress. However, it is not only about the sport, it is about the lifestyle. “In a few words, freeriding is having fun with your friends in the fresh air, close to the nature, traveling and progressing on the physical and also on the mental aspects,” Nicolas Hale-Woods, World Tour founder and organizer, said. It may be hard to explain and understand freeriding, but when you get to the mountains and witness it with your eyes no words are needed.